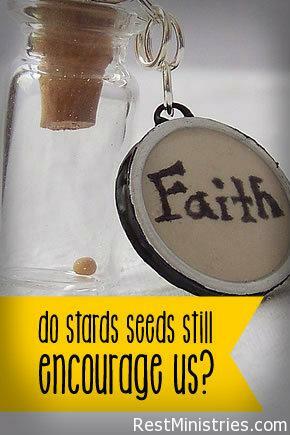 Do you still believe God can use something as small as a mustard seed, including your limited energy? Fiona shares. “Again He said, ‘What shall we say the kingdom of God is like, or what parable shall we use to describe it. It is like a mustard seed, which is the smallest seed you plant in the ground. Yet when planted, it grows and becomes the largest of all garden plants, with such big branches that the birds of the air can perch in its shade'” (Mark 4:30-32). When I was young, my Mum took a group of my friends who wanted to sing and we practiced regularly so we could do concerts in churches and other places. Mostly she taught us to sing as a group and to consider each other as we used the gifts we’d been given. She and our lovely pianist gave those who weren’t confident the encouragement and confidence to serve in this way, while having fun together. In a big church where there was a lot of other musical talent we were just a small group of young girls. They named our group “The Mustard Seeds” and we got to know the above story Jesus told about the kingdom of Heaven, using a tiny mustard seed. Small is not insignificant–God used the small to illustrate what was important. I read those verses today and remembered those years, and even some of the ridicule we received from other people for our little group and the outfits we wore. Was what we were doing even important? Did it mean anything to those who were involved or to those who heard us sing? Small things can grow into big things–like the tiny mustard seed that grows into a large tree. Our lives may seem smaller with chronic illness and it can feel like whqt we are able to do is now insignificant. God still uses what may look to be small things to others to make a difference. Maybe that’s a difference to us as we feel we are still valuable. Or maybe it’s something that changes or impacts someone else we may never even know about. Let God take your mustard seed-sized energy or abilities– because He can grow it. If we are willing God can grow it into something that “provides shade” for others. Prayer: Father, You taught us by this story, that small is not necessarily insignificant or useless. When we feel our illness or pain limits what we can do for You, remind us again how You can take what we give, no matter how limited it might be, and make it into something that has eternal significance. Little is much when You are in it. Amen. Fiona Burrows lives in Melbourne, Australia. She is thankful that God walks each step of her life with her, and that He is teaching her new things as she learns to live with chronic back pain. She enjoys finding time for reading, writing, and photography, and to share those things with others. You can contact her in the Sunroom, or read more of her writing on her blog there. When has God taken something small that you were able to do and let you see the difference it made to someone else? 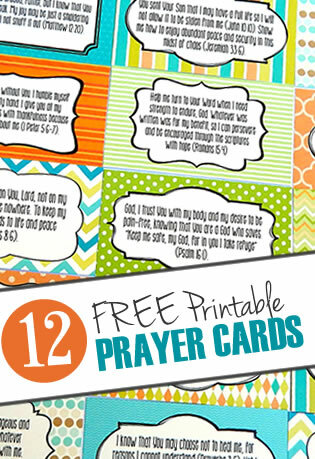 11 Responses to Do Mustard Seeds Still Encourage Us? This post and video are so encouraging and inspiring to my heart that sometimes feels so insignificant. Little is much when God is in it! Thank you, Fiona and Lisa. I always love that quote “little is much when God is in it” and it seems particularly relevant when we get to feeling insignificant. Fiona, just loved your devotional today. I enjoyed your story about your choir, such perseverance! Just the week I wrote this devotional, the lovely lady I mentioned, who had been our pianist, was visiting our Church. So kind of special to see her when she’d been on my mind like that. I love how God seems to bring memories of things from our past, to illustrate or make us think and learn from them now! Fiona, I really liked your reminder that “small is not insignificant”. We all do the best we can and learn ( are learning ) to let God use what He can and multiply it. I was looking, also, on the other side of what you shared. It does not have to do with work that may affect others or be seen. Rather, it is the mustard seeds of faith that I lift to God each day, needing His strength to get through the day. I can then see ( for my eyes alone ) just how he has taken the little that I had to give ( though perhaps large in His eyes ) and given from His abundance what I have needed. Surely it is only by faith that we get through some days! God multiplying what little we are willing, or able, to give Him and using it to grow something that makes a difference (even if we may never know that result). Looking back at the seemingly impossible and giving thanks! That is so true Lynn! Thank you for that reminder! Fiona & Lisa: How I needed this devotional and video today!!!! Our loving Father knew and sent them to me. Thank you Lord. And thanks Fiona and Lisa for obeying His nudging to produce this blessing. It is a great video too (thanks Lisa)! Thank you so much for this reminder. I have been feeling so small and worthless lately. Thank you for such encouragement. Thanks Jacqueline – and so glad you found this encouraging. I think we all need reminders from time to time that God sees each of us as useful and valuable in His sight – and that’s really all that matters, isn’t it!